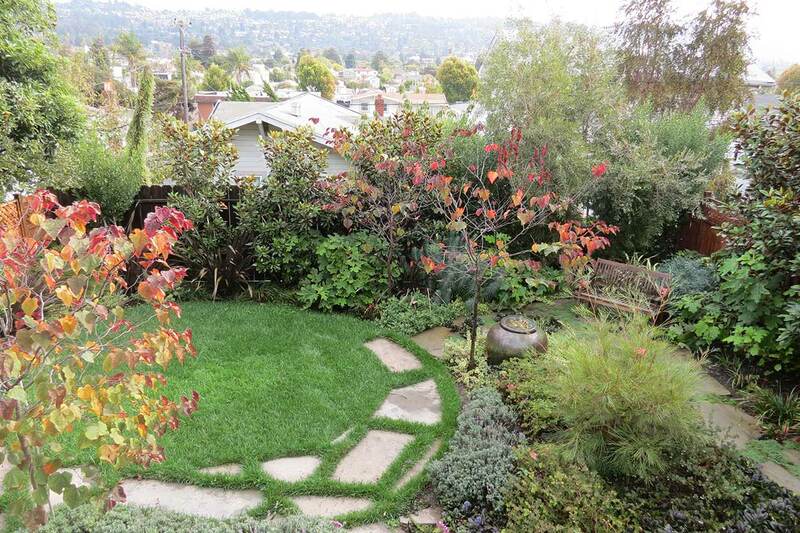 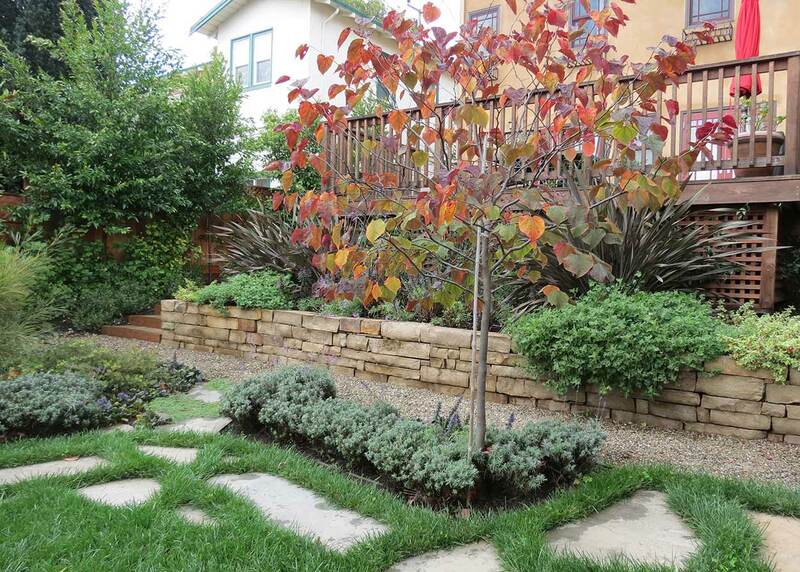 A compact front garden belies a spacious backyard hidden behind this gently sloping urban foothill property. 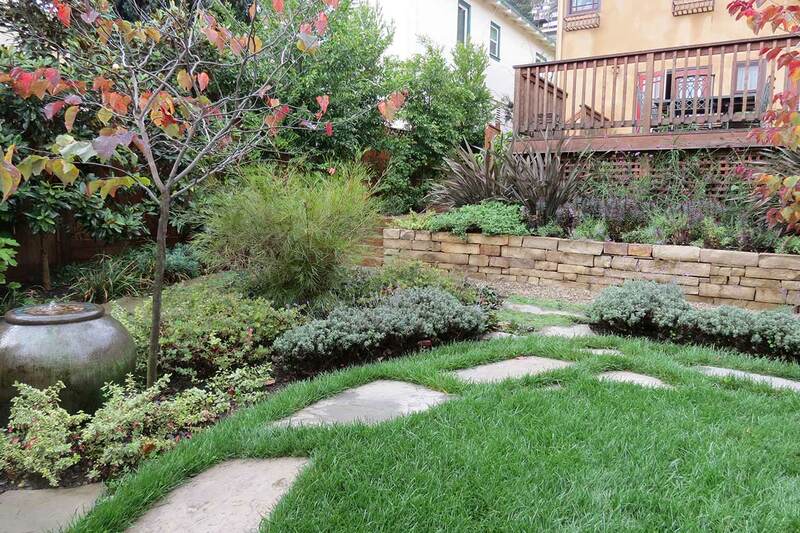 Lawn overlaps the patio with a ribbon of Connecticut Blue Stone reconnecting to the central path. 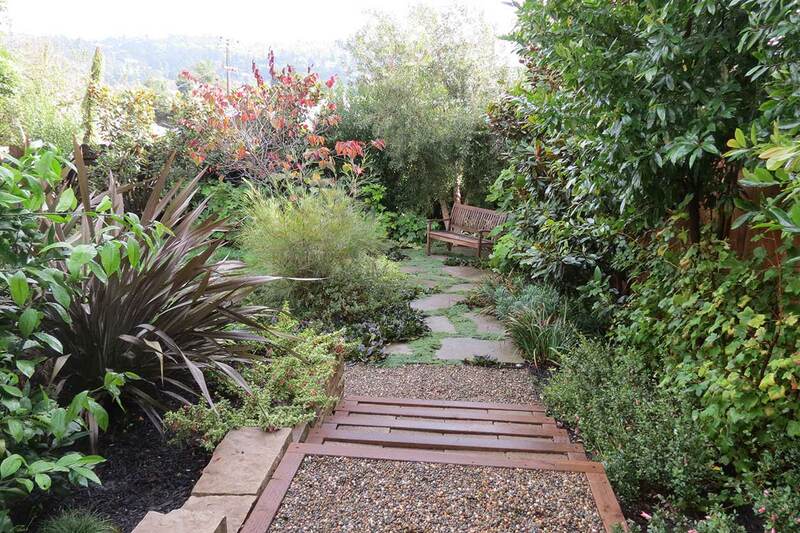 Deck, lawn, patio intertwine and allow different experiences and views. 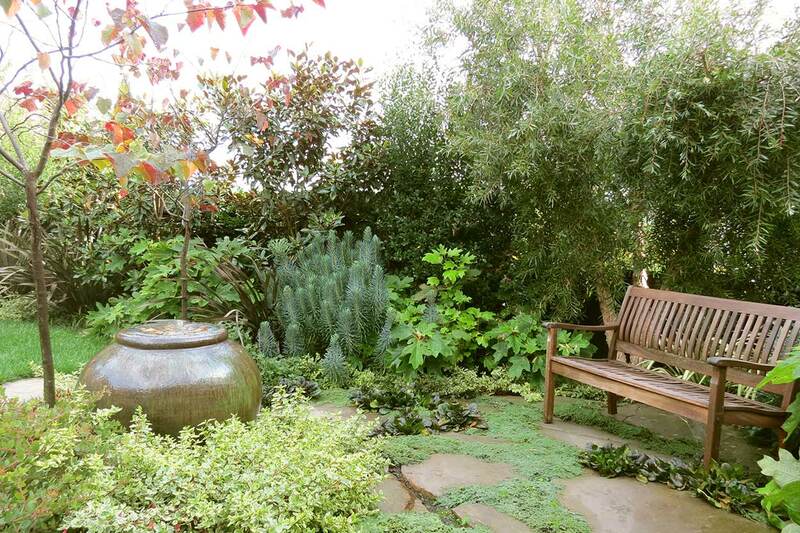 One bulbous bubbling urn delights from the cozy patio or the spacious deck above. 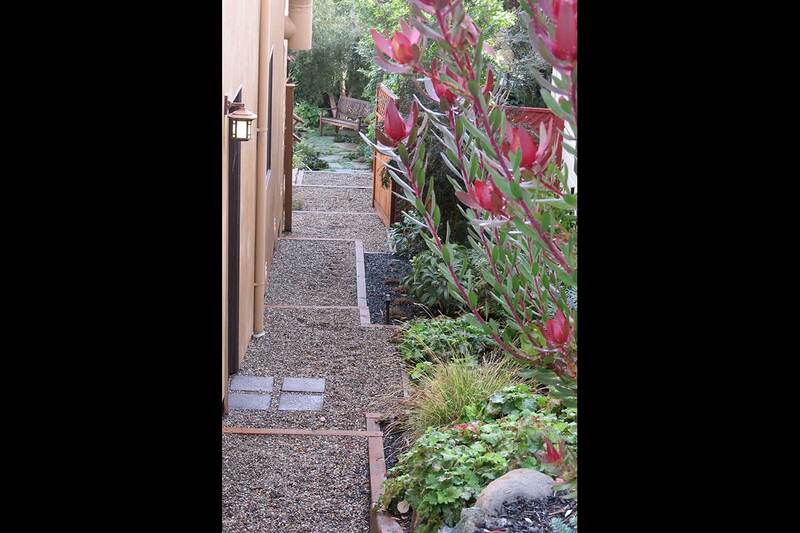 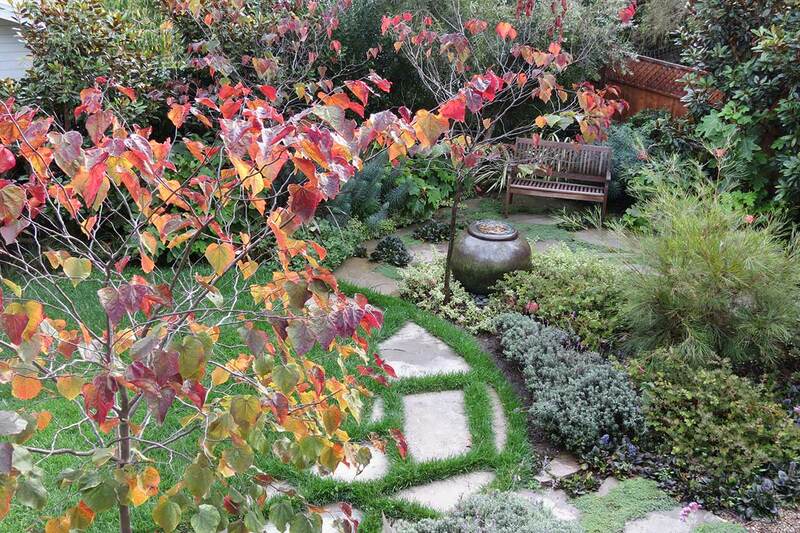 This multi-level yard engages the senses from every vantage point.